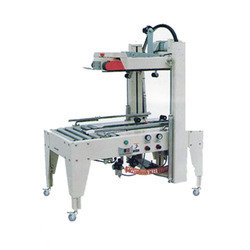 Our range of products include semi auto carton sealing machine and automatic carton sealing machine. Semi Automatic Carton Sealer. This machine is used for sealing and packing of cartons which can be single unit operation or also equipped onto production line. it is videly used used i the field of electrical domistic appliances, foodstuffs, general merchandise, pharma and chemical industry. 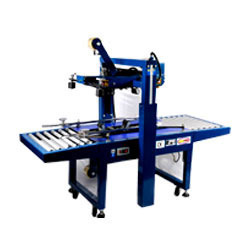 WIDTH OF TAPE 1.5", 2 ", 2.5 ", 3 "
Automatic Carton Sealer driving sealing height and two sides clamping width is automatically adjusted by photoelectric and pneumatic mechanism, which can be adjusted at will handy and convenient. These machines are mainly useful for the sealing and packing of cartons, which can be single - unit operation or also equipped onto the production line. It is widely used in the field of electrical domestic appliances, foodstuffs, general merchandise, medicine and chemical industry. Looking for CARTON SEALING MACHINE ?